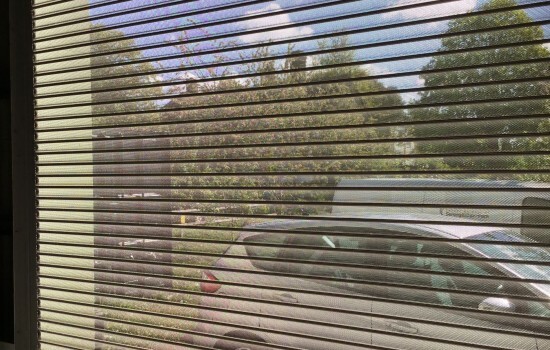 Vision shutters, like solid steel shutters, offer effective security for your premises with the sole difference that you can see through them. This makes them the ideal choice for places such as shopping centres and art galleries where security is still paramount but being able to see attractive window displays out of hours can be lucrative for business. Security guards are also able to see right inside your premises with vision shutters, increasing the level of safety and making them suitable for an even wider range of establishments including airports and railway stations. 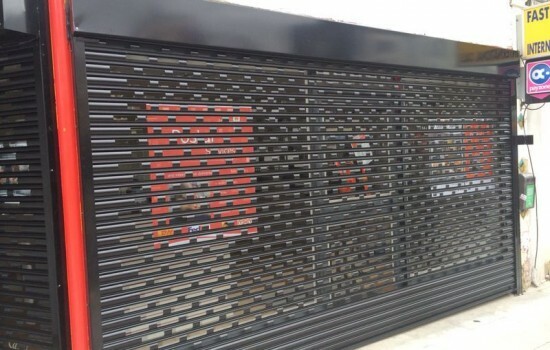 With a wide range of visibility options including punched lath, perforated lath and portcullis grilles, please feel free to talk to Abacus Shutters to select the correct vision roller shutters in London, Essex and the surrounding areas for your project. 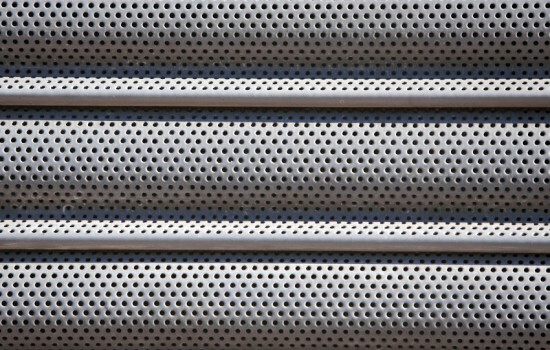 The perforations allow approximately 18% air flow through the curtain making them ideal for applications where ventilation as well as security has to be taken into consideration i.e. under croft car parks. Manufactured from mild steel tube. Tube sizes vary from 102mm – 127mm based on the overall width and height of the curtain and the gauge of its laths. The tube wall thickness varies depending on the width of the shutter. The barrels are mounted on steel shafts with support bearings varying from 16mm to 25mm dependent on the overall size of the shutter. A tempered steel helical torsion spring or a tubular motor are contained within the barrel depending on manual or electric operation. Constructed from galvanized/mild steel plate and ranging from 2.5mm-6mm thick dependent on shutter size. 50-101mm straight galvanized steel guides mounted on 75mm x 50mm x 3-5mm thick galvanised steel angles as standard. 65mm-101mm Steel wind guide channel section is also available, where necessary. 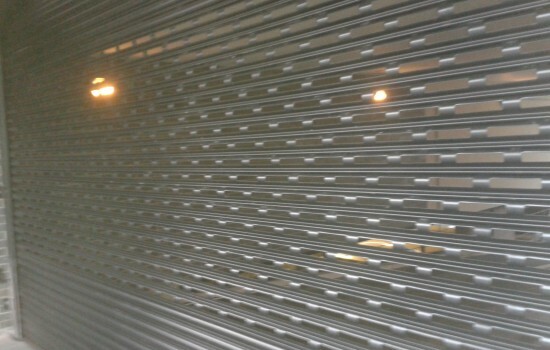 Formed from 0.8-1.0mm galvanised steel sheet to BS EN 10142 with protective hot dipped zinc coating of 275g/m² to the desired shape for each individual shutter. With spring assisted shutters either bullet locks or centre lock is supplied as standard. Electric shutters do not have a manual locking facility but our interlocking isolating key switch mechanism can be installed for additional security. The curtain and guides are both galvanized and angles, barrel and end plates are either galvanised or mild steel depending upon size and application. A polyester powder coating system is available using any standard colour to a RAL or BS 4800 number. Operation is dependent upon shutter size and is either manual and spring assisted or electric using a 240 volt single phase tubular motor. Single phase electric shutters are powered by tubular motors which draw 0.5-5.0amps of current dependent upon shutter size. Emergency manual override systems, battery backup units, key switches, key pads, remote controls and photo cells can all be fitted as added extras. To further discuss Vision roller shutters in Essex and London, please call Abacus Shutters on 0845 644 1225.